The back story for Far Cry 5: Hours of Darkness comes courtesy of the memoirs of Hope County resident Wendell Redler. He is a Vietnam War veteran, and in this DLC Redler recounts his glory days in war-torn Vietnam. Playing as Redler the main thrust of this DLC is that you are trapped behind enemy lines and you need to rescue your army squad mates and return them to safety. From the trailer it looks like you got into your sticky situation due to your chopper being shot down in enemy territory. Hours of Darkness will feature new weapons and abilities and two new play modes will be unlocked after its completion. 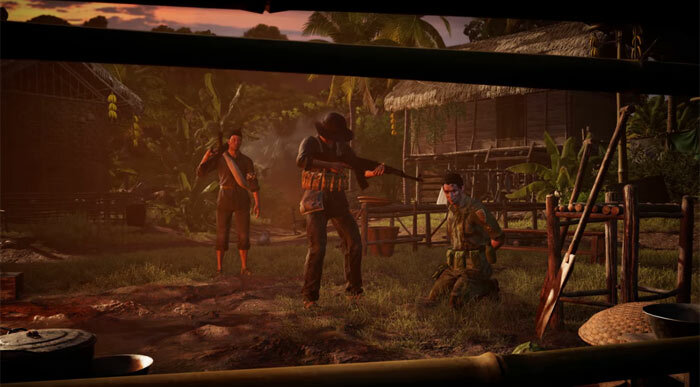 Survivor mode will limit player loadouts for a greater challenge and, at the other extreme, Action Movie mode will allow for a very generous loadout for OTT game action. It will be interesting to see if Ubisoft can tie in the next two DLCs with the main story of Far Cry 5. 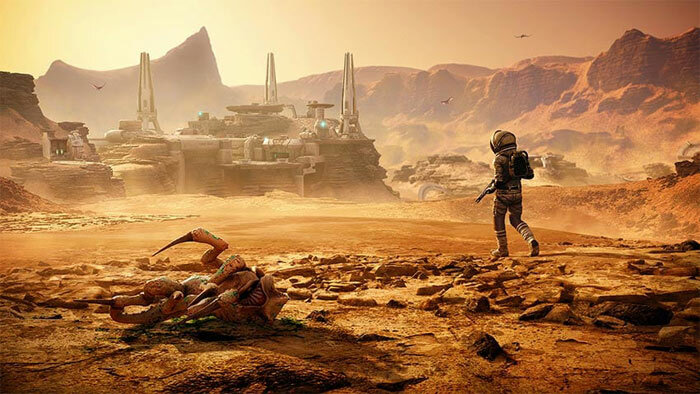 In July it will release 'Lost on Mars' featuring Nick Rye the 'King of the Skies' (sample scene image below), and in August 'Dead Living Zombies' will involve "seven hilarious scenarios" with hordes of undead zombies on a B-movie set. 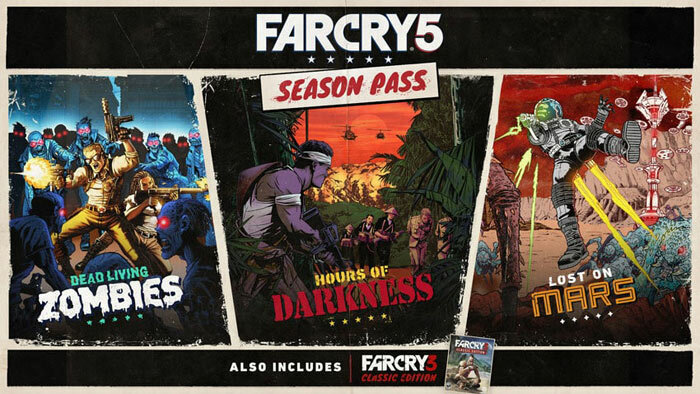 Hours of Darkness can be purchased on its own from 5th June, or downloaded as part of Far Cry 5's Gold Edition, or the £25.99 Season Pass. All the above will be available on PC, Xbox One, and PS4. Can someone please tell me if these are single player DLCs or multi player? I can never tell these days!